6 Motion DD technology provides optimized motion combinations for each fabric type. 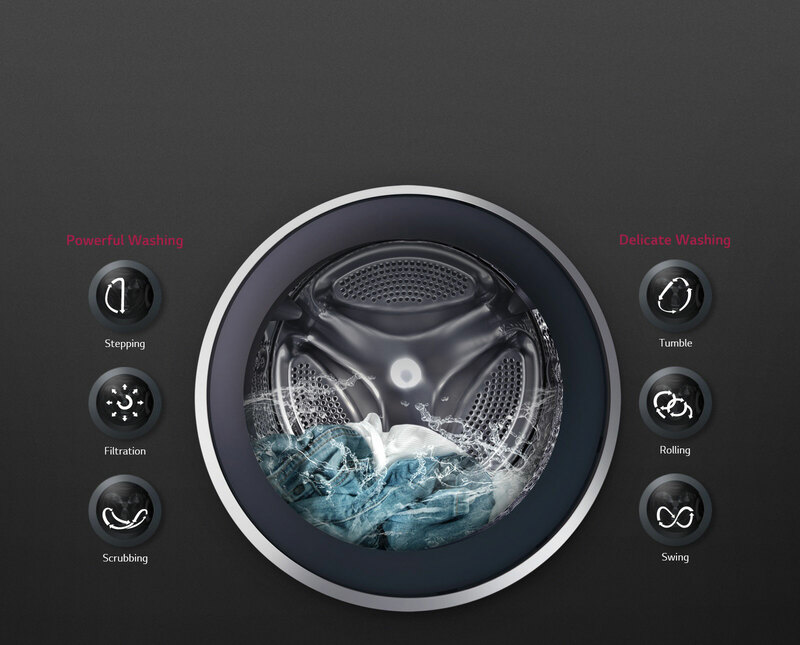 So it delivers powerful washing performance with less damage. 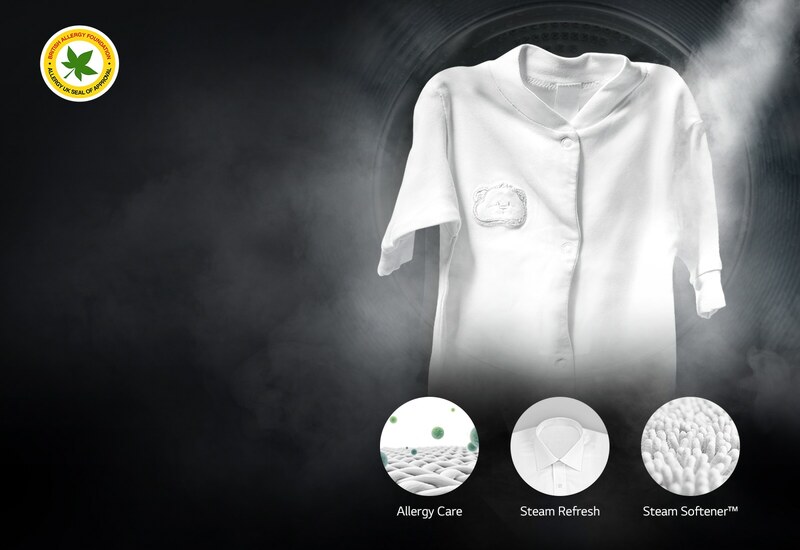 Three-in-one True Steam™ technology: Allergy Care removes allergens from clothes by optimal temperature control. 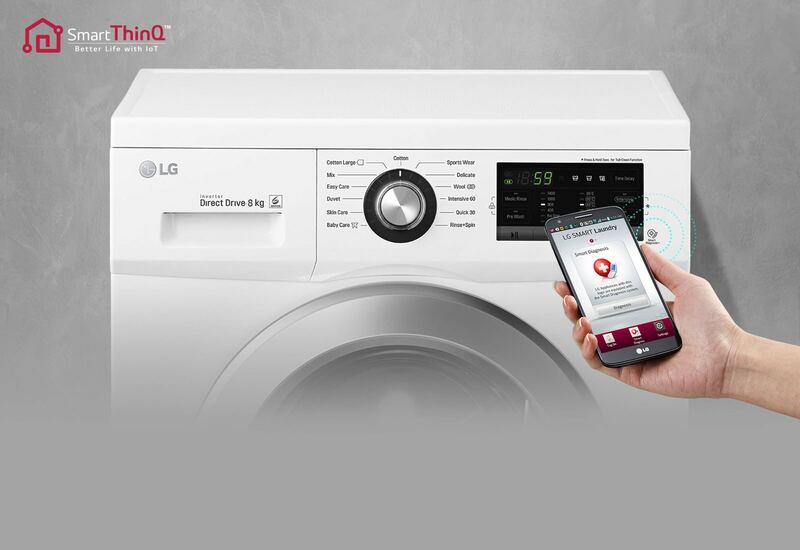 Steam Refresh freshens up clothes in just 20 minutes – less wrinkles and fewer odors without any ironing. 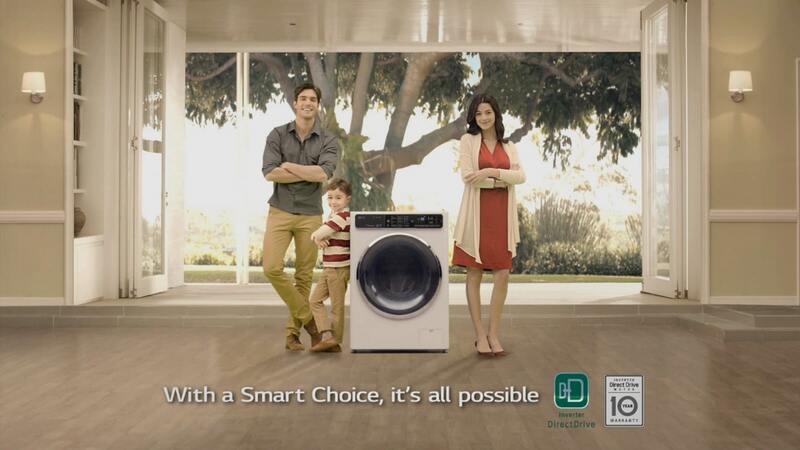 Steam Softener™ only uses pure True Steam™ water, the most hygienic softener ever. Ideal for baby and sensitive skin. computer that diagnoses the issue within seconds and provides an immediate solution.